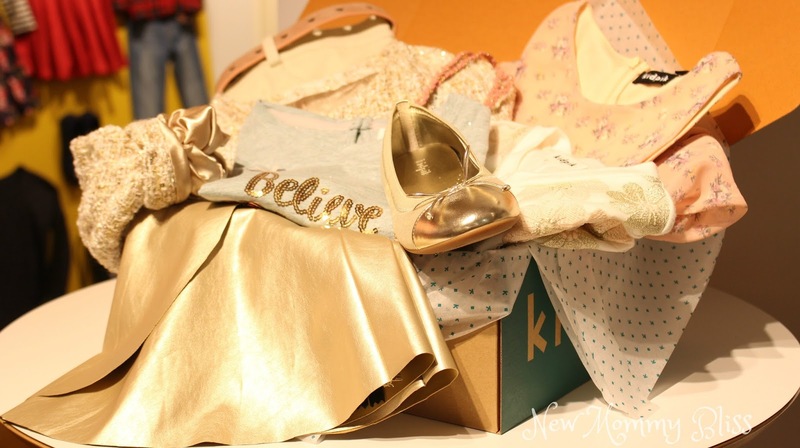 Making Way for Kidpik BASICS, the Latest Subscription Clothing Box Company for Girls! We were invited to this event as media. All attendees received pieces from the line. 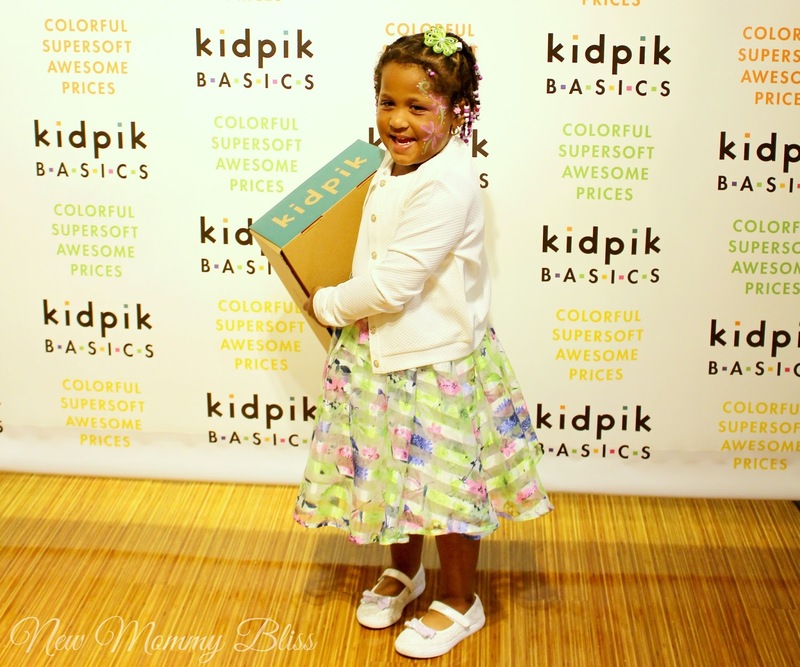 For those who don't know, KidPik is a Subscription box geared towards girls aged 3-12 (size 4-14). 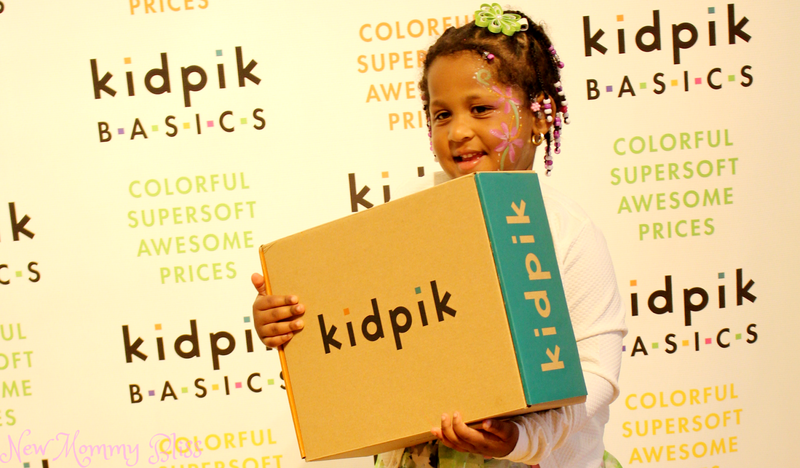 Each and every KidPik box is curated with approximately 6 High- Quality pieces. You do input your credit card in order to receive the boxes, but you will NOT be charged unless you keep items from the box. Kidpik Basics is pretty much the same exact concept except this time you choose colors and you get a box of basic style outfits like plain, stripes, sparkles, floral print etc.... but no graphics like the regular subscription. Gabby had so much fun in the kid room with all the other children getting her face painted and such, that it gave me time to chat with the grownups in charge about all the beautiful styles available. We were so indecisive! We were given a Quilted style white Cardigan, Pink Bermuda Shorts, Teal Jeggings, Neon Green Long sleeve, & a similar Blue Long Sleeve. I wanted to get a picture of her styling all the outfits, but she wanted no parts of anything unless it matched the Kidpik Dress we got from the last event! Overall, I will forever love the Kidpik brand especially since its the same amazing quality and cute looks as the Prior RUUM Kids wear company that used to be. I'll always be a fan. Let me know if you sign up for a subscription or buy a few pieces from the kidpik Basic line. It'll make for a colorful Back To School Style! I love that navy and teal color combo! 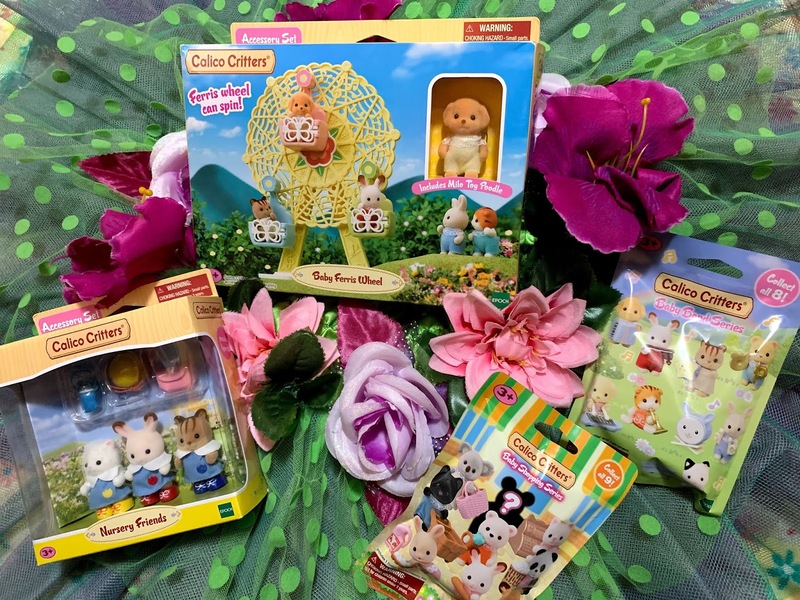 Great post- I did not even know there was a kids subscription box! Awesome! I saw this a few month ago and bookmarked it for when my three year old daughter is big enough. It looks so fun! That looks like such a fun idea! I have to share this with my Sister. My niece would love this! Clothing subscription for kids? I had not idea that was a thing. I love the teal shorts. Wow a clothing subscription for children sounds like a brill idea. I am loving the teal and navy combination. Looks like your daughter had a blast at the event. I can definitely see why, especially since the clothes from Kidpik are so fun and stylish. What a great idea with subscription boxes! I'm surprised this hasnt happened earlier, but looks like a great idea for kids! What a sweetie! I love the fun and functional look of all of those outfits. Very fun colors and looks like a fun event. I love the dress and the shoes. These outfits are perfect for little girls and it looks like your daughter loved how she looked as well. This is definitely a subscription box I would be interested in trying. Going to check this out! I love getting subscription boxes for myself. I'm not a mom, but I think it's cool they have one for little girls!! That's so neat! Those looks like such a fun box for little girls. My kids would love these. OMG how cute are the kiddie step and repeat! I love this concept man I know if they had these sub boxes back in my childhood days my mother would of signed me up for it! 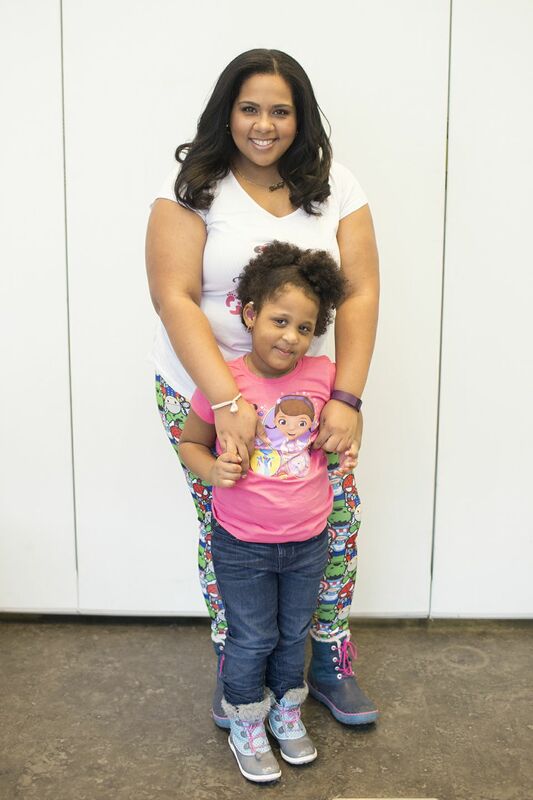 Clothing subscriptions are always a lot of fun especially the ones for the kids! Looks like you had a great time during the event as well. My Blogging Life: Is This High School?? OH MY GOSH, It's an OshKosh Giveaway!